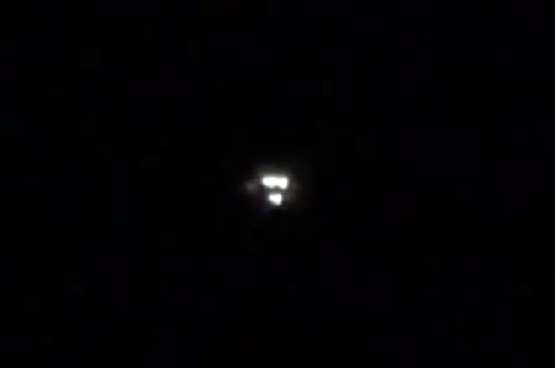 A witness claims to have shot a video of a UFO while on number 10 mountain in Goren, Oklahoma on July 2, 2015. He was on the edge of the cliff, facing south overlooking Hartshorne. Then he noticed a mysterious object just sitting still with blinking lights. The witness heard no sound coming from the aerial thing in the sky. He said: “It was perfectly quiet.” He would not notice the object if not because of the lights. According to the witness’ description, the unusual object has a different color of lights underneath it, yellow, blue, green, and red. The lights went in a circle with a different spotlight in the middle. Then the object turned on more lights, and it remained like this for several hours – like doing a light show, the witness stated. Then when daylight was about to come, it took off at incredible speed, like a comet tail. The strange object travelled and vanished in a speed of light, the witness said.